Vegetable gardens combined with ornamental planting are both practical and attractive. 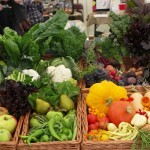 There needn’t be a large amount of vegetables just enough to manage and to enjoy the better flavour of home produce. Children love growing food they like to eat and it can be the start of a passion for gardening in later life. Leaf and Acre enjoyed the day at the City Harvest Festival at Capel Manor and awarded prizes of a new garden design and planting design to the lucky winners of our competition. 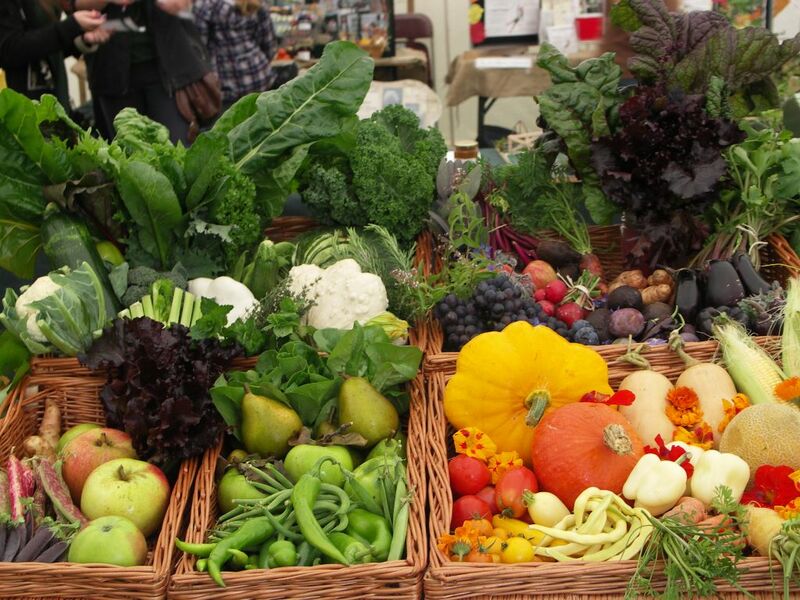 The vegetable displays showed just how much pleasure there is in harvesting a huge range of produce from gardens and allotments. The patio garden here is the upper part of a long and narrow garden. It benefits from lots of sun. 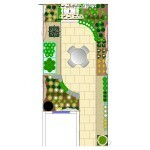 The design maximises the area for growing vegetables. It includes a mini-greenhouse and modular wall planter. The arch is clothed in a thornless blackberry and leads the way to the lower lawn area with dwarf apple trees. 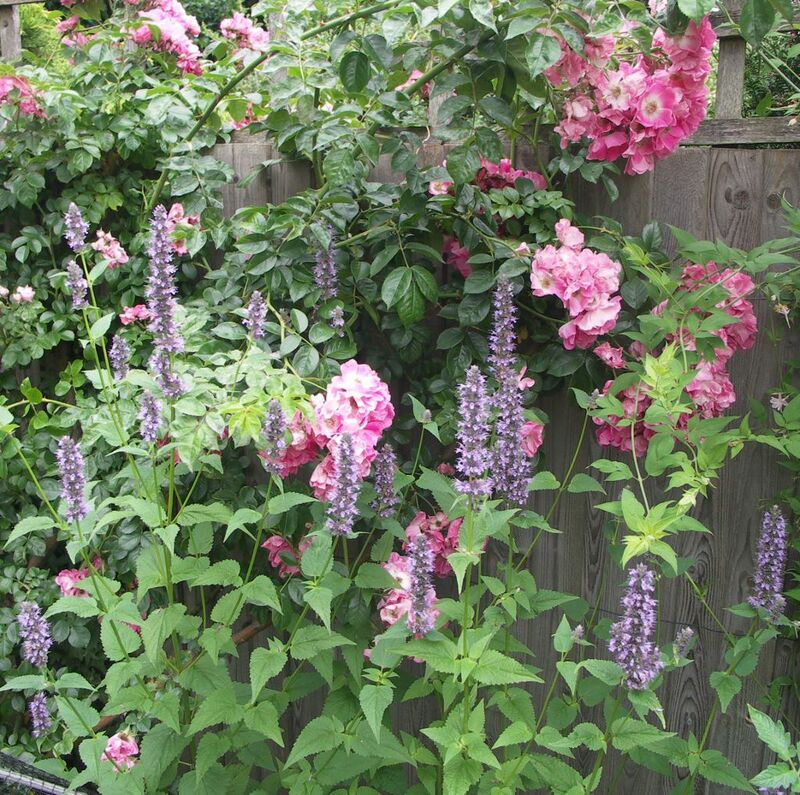 The beds include lavenders, thyme and flowers intermingled with the vegetables and have roses and jasmine on trellis behind them. 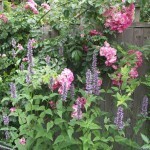 Climbers such as roses and jasmine look good behind a vegetable border in the garden. Agastache, salvias, rosemary, lavender and thymes are easily combined and bring floral interest before the vegetables mature. 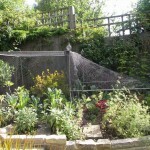 Attractive frame with netting to protect vulnerable crops from birds. Unfortunately, pests often have to be considered to get the best yield from our crops. 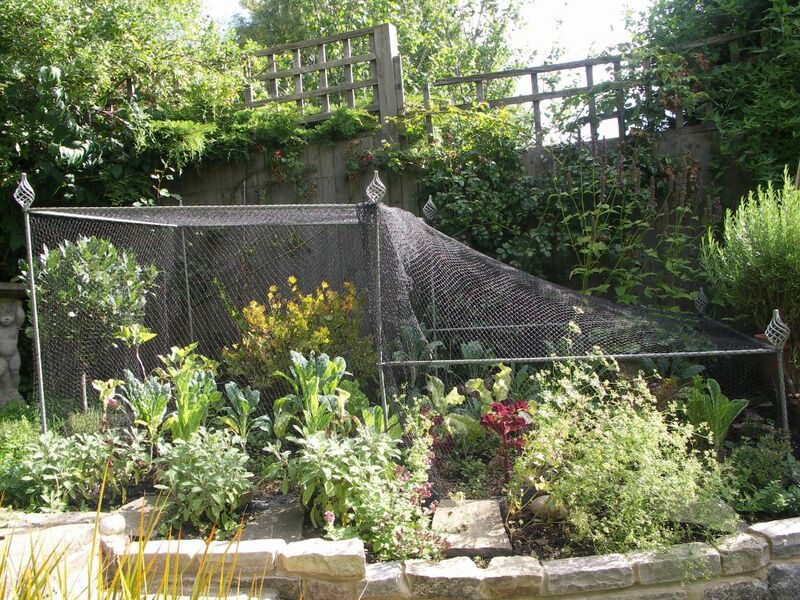 This netted area still looks attractive and keeps the pigeons from taking fruit or trampling young crops. Fine gravel and copper impregnated strip also deters the slugs. There are many design solutions for vegetable gardens including raised vegetable planters with seating, and arches and pergolas with grapes, fruit, peas and beans. You may have seen the magnificent examples on a grand scale at the recent ‘Incredibles’ exhibition at Kew Gardens. Here the formal borders were even planted with colourful vegetables. 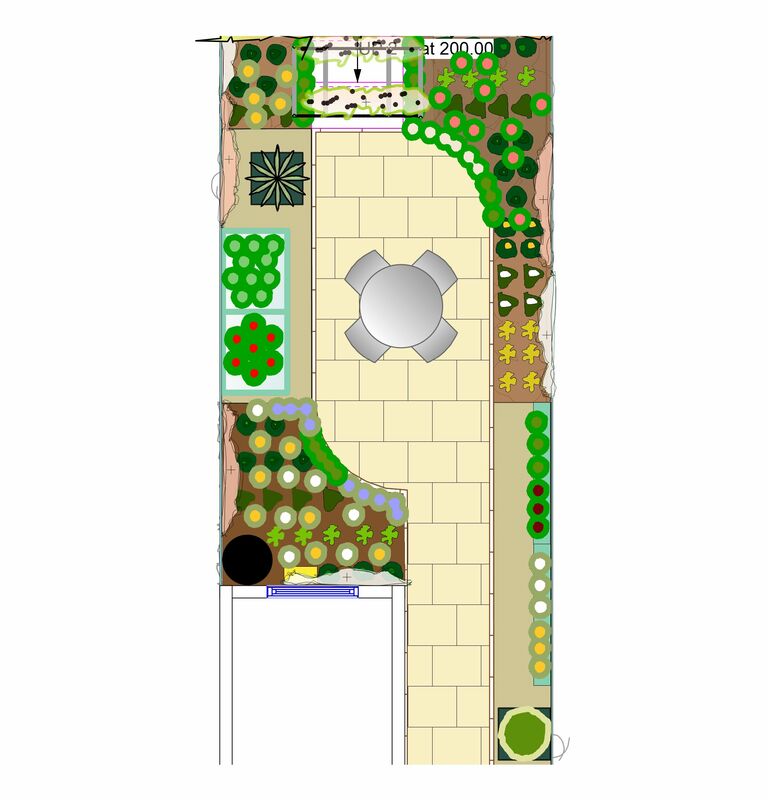 This entry was posted in Vegetable Gardens and tagged agastache, climbers, Discovery Apple, Free Garden Design, Fruit, Garden Design, Leaf & Acre, Nasturtiums, North London, Planting Design, thymes, Vegetables on September 16, 2013 by admin.